Safety starts at the top – at the firefighter’s head, that is. A firefighter’s helmet is specifically designed to offer ample protection against a number of job-related hazards, including heat, falling objects, and more, all while providing the most comfortably accommodating fit possible. 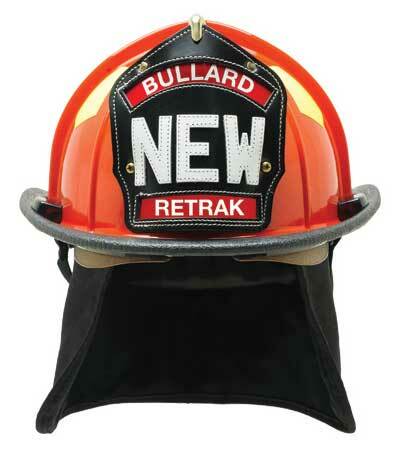 With these protective issues firmly in mind, Bullard, a leading manufacturer of high-quality personal protective equipment designed for first responders, is committed to infusing the highest levels of quality and innovation into each of their products. By fully embracing the importance of head protection, Bullard has developed structural helmets that incorporate feedback from firefighters, thereby ensuring top-quality levels of functionality and safety. 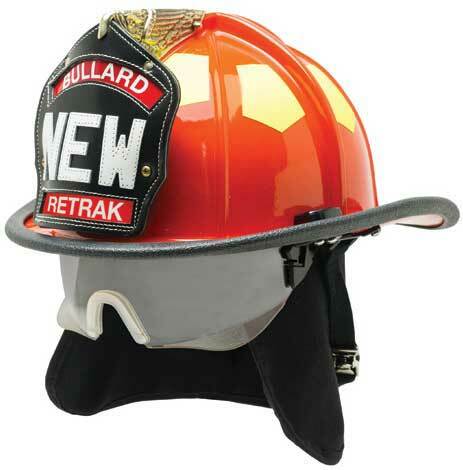 The Bullard ReTrak Structural Helmet is relied upon for its built-in protection, offering firefighters a fire helmet with an integrated visor, simple, one-handed operation, and quick removal for cleaning. 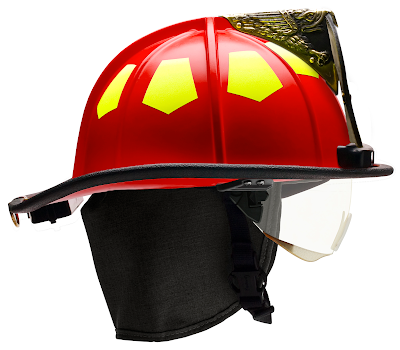 Proudly made in the U.S., the Bullard ReTrak Structural Helmet can easily accommodate eyewear, has an increased area of protection, and meets all NFPA 1971/ANSI/ISEA Z87.1+ requirements. When faced with dark and/or smoky conditions, the Bullard ReTrak Structural Helmet with TrakLite Lighting System is designed to help you successfully navigate a large variety of diverse scenarios, such as nighttime search-and-rescue operations or locating a fuse box. Its lightweight TrakLite augments its overall functional performance by offering eight bright-white LEDs located behind protective, heat-resistant glass. This well-constructed combination results in a readily available source of light when you need it most, all without any bulky, cumbersome additions. 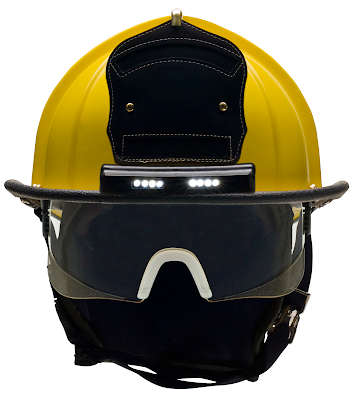 When battling a blaze as a team, especially when visibility is poor, keeping track of your brothers and sisters can be challenging, but the Bullard ReTrak Structural Helmet with TrakLite Lighting System’s bright-blue “buddy indicator” located on its rear allows every team member to be seen, even in dimly lit, smoky conditions.